This course comes with 10.0 hrs (18.0 class) of CPD, although the time to complete the course online may be less than this. 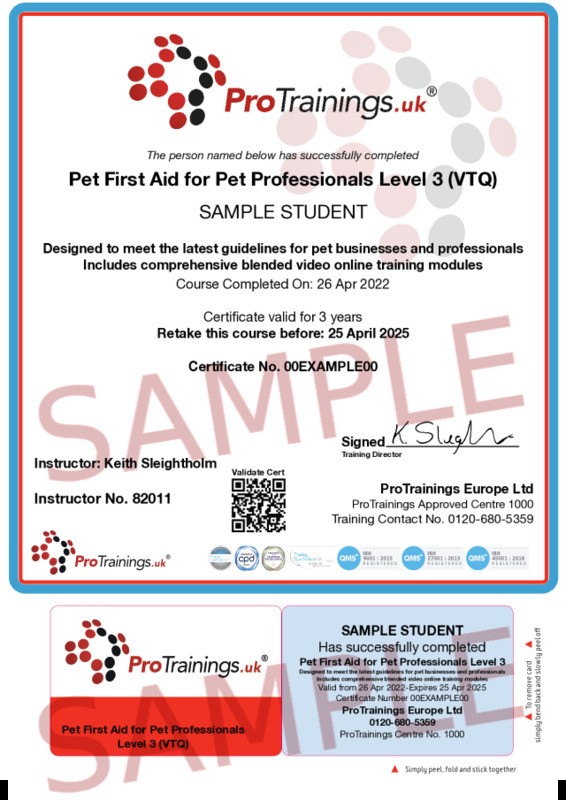 Total course time includes 8 hours and 28 minutes of video training as well as knowledge reviews, final test, remedial help and reviewing downloaded material. 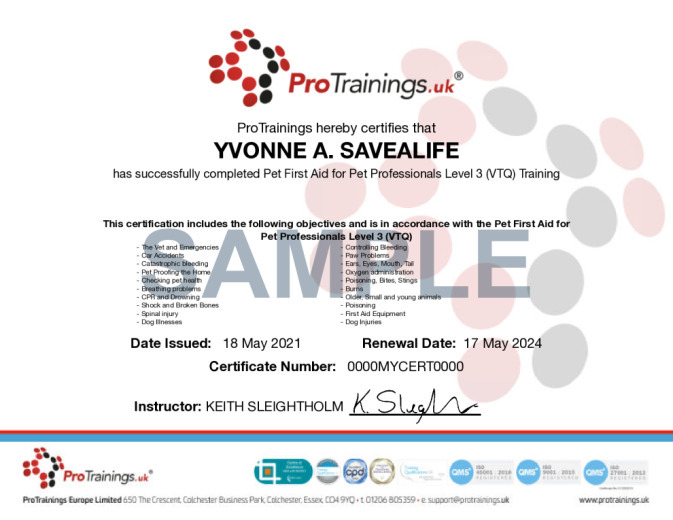 For a full list please visit our pet professional first aid training page.